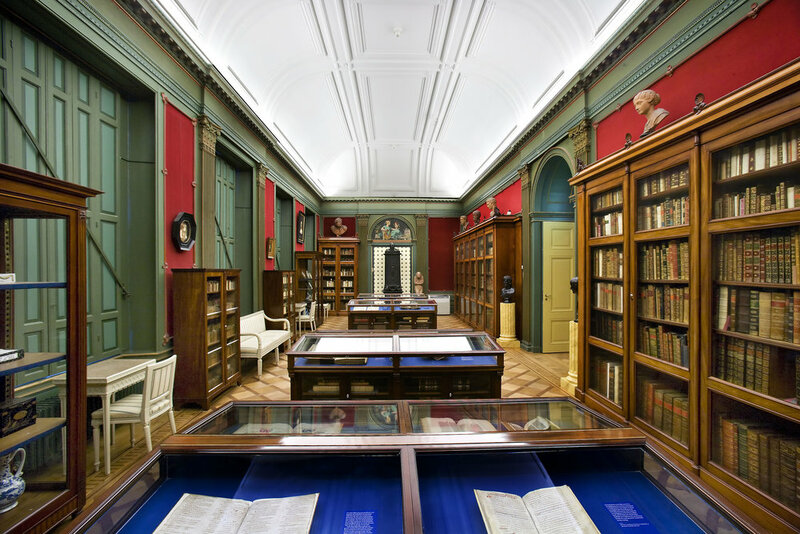 Visit Museum Meermanno the oldest book museum in the world and wander around the former residence of Baron van Westreenen (1783- 1848). Museum Meermanno in The Hague is the oldest book museum in the world and located centrally on The Hague’s stately Prinsessegracht, presents a very special collection, from medieval manuscripts to modern book design. The museum focuses on the written and printed books in the past and present. The external form and the development of the design of books are central. The museum manages an exquisite collection of books from all periods of Western book history. Want to know more about the collection? Please click here. The name Meermanno-Westreenianum refers to two individuals who were associated with the museum from the very beginning. The most important is Baron W.H.J.van Westreenen van Tiellandt (1783-1848) who built up his vast collection in this house, which was his residence. His second cousin and important source of inspiration, Johan Meerman (1751-1815), also owned an impressive collection of books, a part of which was taken up into the collection of Van Westreenen. After the death of Van Westreenen, the house and his entire collection became the property of the state. In 1852, the house was opened to the public as a museum.